Need to make space inside your garage so that your car will fit? 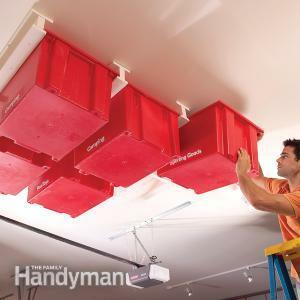 This entry was posted on October 29, 2013, in How-to. Bookmark the permalink. 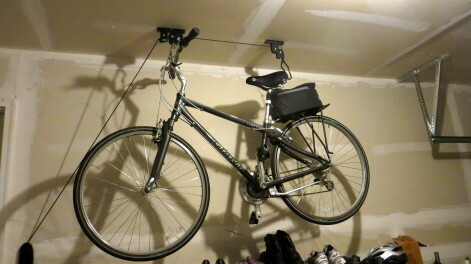 It can be a tight fit to put all your bikes and other things into a condo garage and still get your car in. Here are some ideas on making it work. Either do-it-yourself, work with a friend or hire some handy help from on-site staff. Racor PBH-1R Ceiling-Mounted Bike LiftPurchased from Ace Hardware on Washtenaw.Also available from Amazon and other online stores. 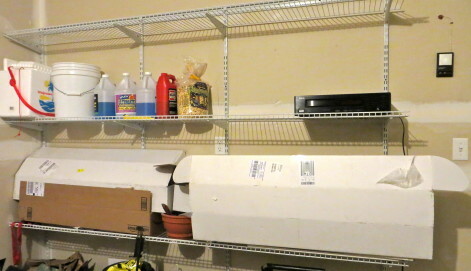 Garage Shelving installed by ATD Builders. Available at all major hardware stores.